The Russian telecommunications operator TTK is working on its content delivery, and it is partnering with Akamai to get it done. The two have signed a network partnership agreement, and will be collaborating to put together the necessary infrastructure. 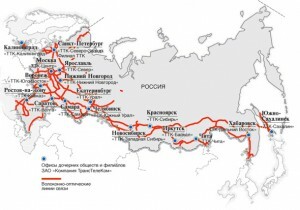 TTK's network spans the breadth of Russia, from Europe to Japan. The first step will be to install a set of Akamai servers in TTK's Moscow node, which will lower latency and such for the country's main market. Then they'll do the same in key locations elsewhere on TTK's fiber network, although I doubt Siberia will be getting as many nodes as Western Russia. Akamai has been placing more emphasis on working with network operators around the world for several years now. With Verizon's purchase of Edgecast the landscape may be about to shift, although it's not clear just how. Rob you sound like Dan Rayburn- comments about Akama’s demise without specifics. Do you think the other company’s will work with Verizon for CDN? Akamai knows what it is doing!